This chapter introduces medical imaging devices and its history. Further, the chapter discusses the history of the DICOM image and DICOM standard. The chapter also discusses image acquisition. 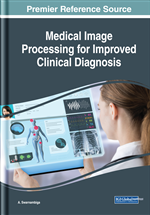 Moreover, the chapter discusses the various software used for processing DICOM image. The chapter also discusses the limitations of DICOM and other medical image data formats. The basic structure of the DICOM is described in this chapter. Further, various research articles on medical image processing are discussed. The patented DICOM standard is built in medical imaging devices such as scanners, servers, workstations, printers, and network hardware from leading medical diagnostic device manufacturers such as Canon Healthcare Solutions, FUJIFILM Medical Systems U.S.A. Inc., GE Healthcare, Hitachi Healthcare Americas, Konica Minolta Medical Imaging USA Inc., Philips, Samsung Medical Devices, Siemens Healthineers, Swissray International Inc., Toshiba America Medical Systems, etc. The various devices support DICOM format clearly states the DICOM classes they support. The DICOM standard is implemented in variety of devices as few are mentioned below (Wikipedia, 2018). The DICOM standard has been widely adopted including dentists' and doctors' offices and hospitals. The DICOM standard is applicable in many medicine fields and few are listed below (Wikipedia, 2018).